A winter wonderland escape awaits you! 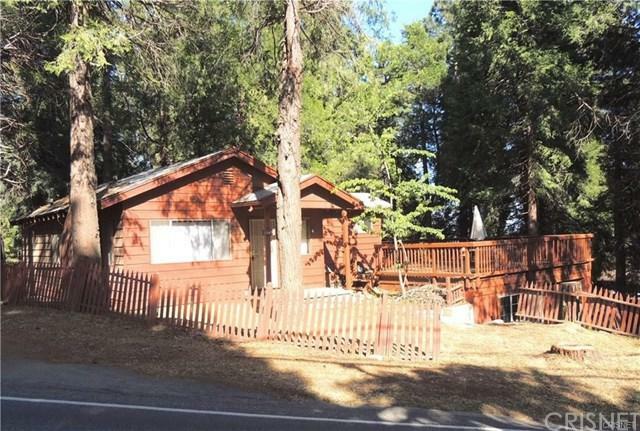 This 2 Bedroom 1.5 Bath cabin is in the cozy town of Cedarpines Park. Nestled amid soaring pine trees this cabin is the perfect retreat. Located close to Lake Gregory, this cabin features an inviting wood burning fireplace with knotty pine paneling throughout. The upper level features a family room, kitchen, breakfast nook and full bath and bedroom. A brand new stove in the kitchen with new flooring too! The secondary bedroom is found in the lower level and has it's own entry and a pot belly wood burning stove. Access to the back yard from the kitchen area to nice grassy yard, ideal for a garden or outdoor sitting area. Laundry area inside the cabin too! The one car garage is attached with plenty of parking in driveway. There is also a spacious roof top deck perfect for summer BBQ's and entertaining. A perfect fixer upper for next owner to add their special touches!